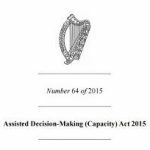 Following the signing into law of the Assisted Decision-Making (Capacity) Act 2015, Solicitors Gearoid Williams and Aisling Glynn completed a Law Society Certificate in Decision Making Capacity & Support. 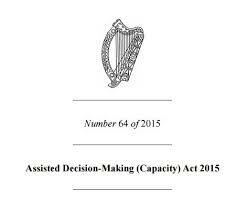 The Act reforms Ireland’s capacity legislation which has been in place since the 19th century. It establishes a modern statutory framework to support decision-making by adults who may have difficulty in making decisions. This recent Irish Times article provides a helpful update on this evolving area of practice.